This group has approximately 540 members. The first meeting was in July 2011 and we rapidly became very successful with a core of enthusiasts quickly forming a small band. Over the following years and despite many changes in the line-up, the band has grown both in numbers and in the level and quality of performance. It now plays on a monthly basis at Saxos Moraira to a regular following of members and the public who join in the fun. 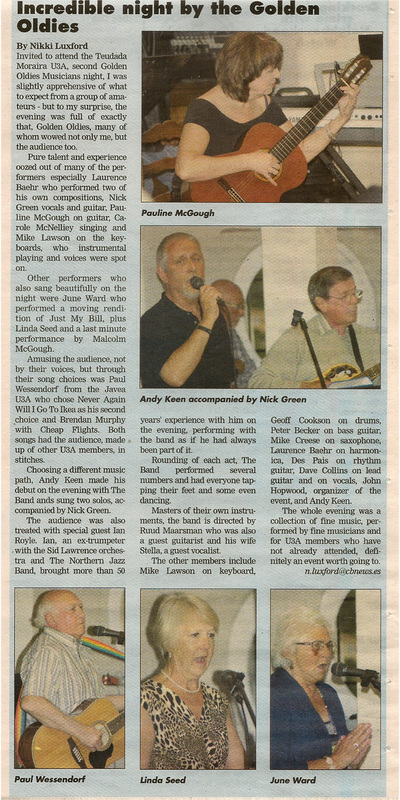 The Golden Oldies Music Group consists of two ‘sub-groups’. The U3A Band and The Groupies (the audience). The U3A Band has six members including drummer, bass player, saxophonist (also a vocalist and guitarist), lead guitar and rhythm guitar and vocalist. The U3A band practices Monday afternoons at the Don Quixote bar near the Paichi garden centre between 2 and 5pm. Members are very welcome to come along to listen to our rehearsals. The U3A band would welcome anyone who is a competent musician and anyone who is interested in playing with the band should contact the Band Leader Ian Mair at one of the practice sessions. 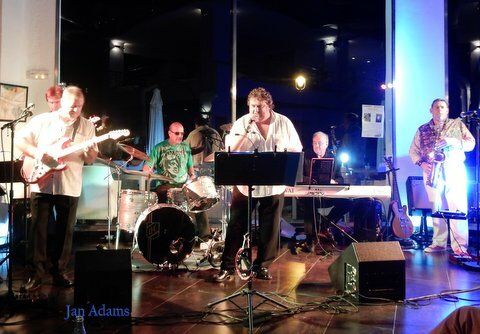 For our first major public appearance The U3A band was invited by the Lions Club of Moraira to open their Summer Music Festival with a full evening’s performance by the castle one Sunday evening in June 2015 and again in June 2016 and June 2017. They were very successful evenings with more than €3,500 raised for Lions Club charities. The members of the band were delighted that their first public performances were such a success. Other very successful and enjoyable performances have been at both the Benitatchell and Javea Bowls Clubs dinner dances when more was raised for charities. The Groupies This is the affectionate name for the members who form our very enthusiastic and loyal audience. The Music Nights are usually held approximately every four weeks and usually attract more than 100 members. They consist of a wide variety of blues, some jazz and lots of 50’s, 60’s and 70’s music played by the band. 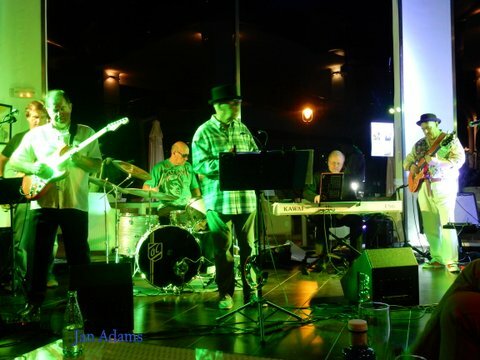 We started our Music Nights at the Ifach Golf Club bar and enjoyed some wonderful evenings there. 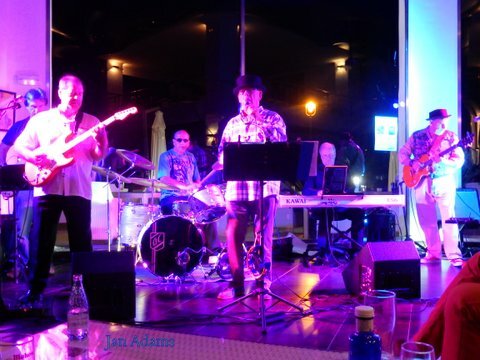 As we grew we eventually moved to the larger Cafe del Mar, then the Los Limoneros Hotel followed by the Les Fouges restaurant and now we have moved to Saxo which is a very well known venue for music. The Music Nights are now usually held on a Thursday late afternoon from approximately 6pm to 8pm during summer months outdoors and later in the evening indoors during the cooler evenings. Anyone interested in joining us to attend a Music Night as a member of the audience please send the Group Leader a message using the form below.